A second Austrian student fraternity has a songbook containing anti-Semitic lyrics making fun of the Holocaust and insulting Jews, a newspaper said on Tuesday, three weeks after it exposed a similar case that forced a far-right politician to quit. The earlier case reported by Falter prompted the resignation of a prominent member of the anti-Islam Freedom Party (FPO), which became the junior partner in conservative Chancellor Christian Kurz’s government in December following elections. Austria is the only western European country to have a far-right party in government. Last month, left-wing weekly Falter reported on anti-Semitic lyrics in a songbook published by a student fraternity in Lower Austria, the province surrounding Vienna. That fraternity’s deputy leader was the FPO’s top candidate in an election for the regional parliament there, Udo Landbauer. Landbauer eventually stepped down over the affair. After initially refusing to sack him, the party later said it was setting up a committee of historians that would examine its past and that of right-wing fraternities like Landbauer’s, which are often close to the FPO but not formally part of it. On Tuesday, Falter reported that another fraternity, Bruna Sudetia based in Vienna, had a similar songbook, and that the head of that group is on the staff of FPO Infrastructure Minister Norbert Hofer. The staffer, Herwig Goetschober, who works on social media, was not immediately available for comment. A spokesman for Hofer said Goetschober was sick but denied knowing of the lyrics published by Falter, adding that his songbook had a different content and layout. “He has no knowledge of this other songbook. He also does not know who produced it,” the spokesman said. The FPO says it has abandoned its neo-Nazi past and rejects anti-Semitism. It now focuses its criticism on Islam and even openly courts Jewish voters. 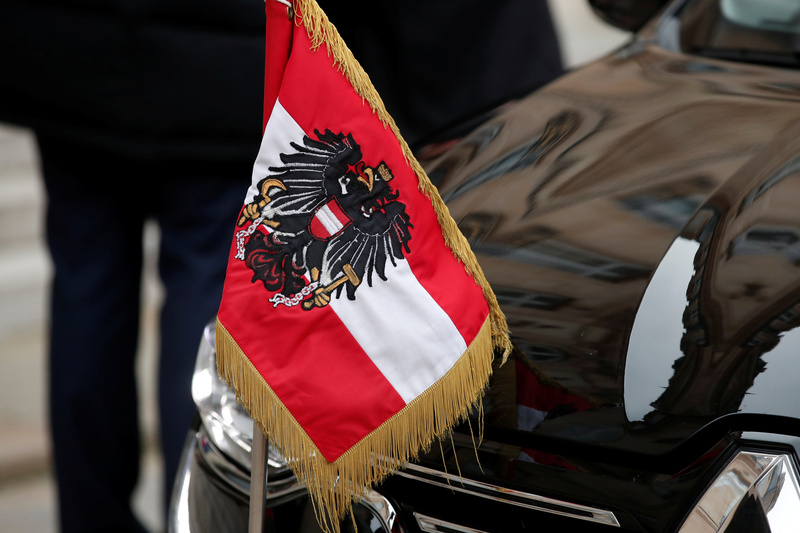 But the main group representing Austria’s tiny Jewish community, the IKG, says the FPO has done too little to address the long-standing anti-Semitism within its ranks. It sees fraternities as a breeding ground for the problem. The IKG has also questioned whether the FPO’s historical commission will get to the bottom of anti-Semitism within fraternities. Many senior political party figures belong to a fraternity but the FPO has said it cannot force those organisations to cooperate with the commission. “If it is true that the FPO cannot control the fraternities, then that probably confirms that fraternity members control the FPO,” IKG chief Oskar Deutsch told ORF radio at the weekend.